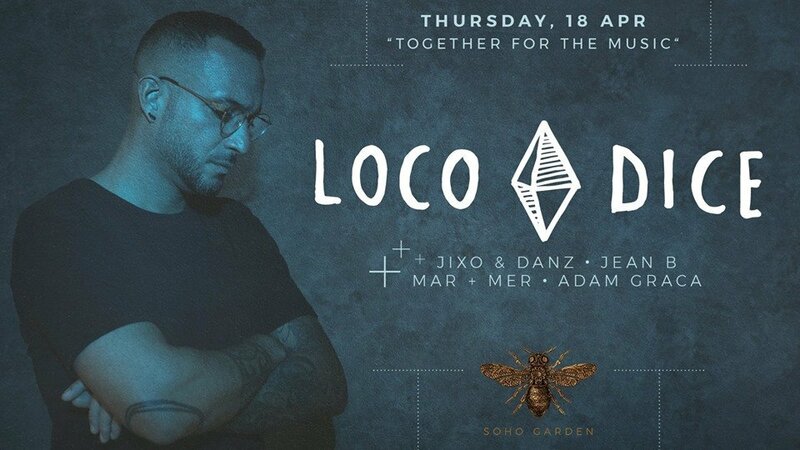 Hip-hop rooted DJ, house & techno kung-fu master and Desolat Music founder LOCO DICE is coming to Soho Garden, April 18th! Loco Dice recently unveiled his darkly eclectic album ‘Love Letters’. While also continuing to headline the biggest clubs and festivals around the world, Loco Dice has directed his endless passion and musical sensibilities to bare upon his Desolat label, with a stream of records released from some of the most exciting artists around and supported by DJs across the globe. Catch him this Thursday behind our decks!